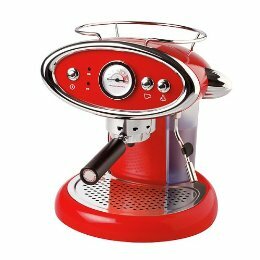 I was searching for an Espresso/Cappuccino Machine that would fit in my cafe-style kitchen and this one fit the look. This machine is easy to use. I just invite my friends over and we can relax and enjoy a good cup of espresso or cappuccino right at home.